Were You Meant to Mentor? You have much to gain from sharing insights with a protg. You have a new colleague who’s smart, driven and maybe reminds you a bit of yourself when you were new. This person has expressed an admiration toward you and asks you to be his/her mentor – should you say yes? Studies show it’s a good career move. People who step up to mentor a colleague are more satisfied with their jobs and experience a greater sense of purpose, according to a 2013 study published in the Journal of Vocational Behavior. It can also lead to a raise: Sun Microsystems’ five-year study of its mentorship program found that 28% of mentors and 25% of protégés saw an increase in salary, compared with 5% of workers who didn’t participate in the program. Promotions also were a perk – mentors were six times more likely to move up the ladder, and mentees were five times more likely to move up than those without mentors. Building your skills. The best mentorships are a two-way street, with both parties learning from the experience. Mentoring typically builds your leadership and management skills. You also could learn new things from those just out of college. Keeping talent in-house. Everyone wants to work with intelligent, motivated people. Build future leaders, maybe even a successor, by helping them meet their goals. For the next generation of advisors seeking advancement, this is key. 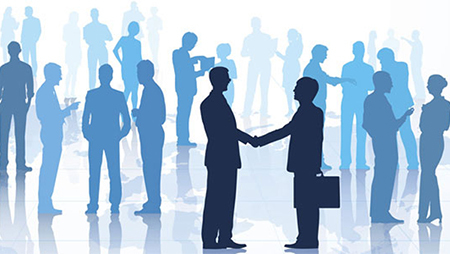 Expanding your professional network. A protégé can help open new doors for you in the same way you do for them. Paying it forward. Chances are someone helped you get where you are. This is your chance to give back and continue that tradition. Gaining a sense of empowerment. Having someone ask for and listen to your advice can boost your confidence – you know more than you think you know. Being a mentor doesn’t have to be a huge drain on your time and energy. Even 15 minutes of your time each week can make a difference. The key is to make your expectations for the relationship clear from the start – how much time you can spend, the confidentiality you need, and the method of communication you prefer. You can help your protégé in a number of ways. Invite them to sit in on meetings you’re conducting and explain why you took a particular direction. Talk to them about their goals, share anecdotes about your career, connect them with people relevant to their job path, and share tips and tricks for navigating the workplace. Mentorship can be extremely beneficial, so think about volun­teering and sharing your wisdom and experience, either formally through a mentoring program or informally. If you know of a potential protégé, offer to take them under your wing and be involved in shaping the next generation of leaders. If you need a mentor of your own, ask… tactfully. Choose a mentor who is a good fit – someone whose career you’d like to emulate. Ask them to be your mentor face to face or over the phone. Discuss what you hope to get out of the relationship. Offer them value, such as unique insight or lightening their workload. – For more on practice management, visit Raymond James’ Practice Insights portal.